This traditional document is your instructions to the Probate Court, for what happens to any assets which have to go through probate. It tells the court, among other things, who you want as your executor (called a “personal representative” in Alaska), and who you want to receive your assets after you have died. If you have minor children, it also nominates a Guardian for them in case neither parent is available. A Will has to be carefully drafted to meet legal requirements. People often have misconceptions about what a Will does. Some believe that if you have a Will, your estate does not have to go through probate. The truth is almost the opposite: the Will is largely ineffective unless the estate goes through probate. Most people think that a Will governs what happens to all of your assets when you die. However if you have a beneficiary designated on an account, or a joint owner with right of survivorship, those assets do not even go through probate, so the Will has nothing to do with them. This important document allows someone else to act on your behalf if you are no longer able to manage your own affairs (but are still alive). A power of attorney can be “open” (it can be used at any time, even if you are not incapacitated), or it can be “springing” (it can only be used if you are incapacitated). If you have a power of attorney, and something happens to you which makes it impossible for you to act on your own behalf, the person you have named can do things like paying your bills, arranging housing, applying for benefits, and a variety of other actions. If you do not have a power of attorney and become incapacitated, it is usually necessary to go through a guardianship proceeding in court, which can be expensive and can cause significant delays in getting things done. Advance Health Care Directive: This is the document which appoints an agent to make medical decisions for you, if you are not able to make them yourself. You also can make a number of end-of-life decisions on the Directive. More details are given here. 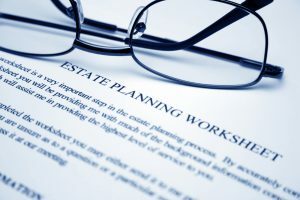 While these arrangements are not available for all types of assets, and can be problematical in some situations, they can be a useful part of estate planning. Beneficiary designations are also called Transfer on Death (TOD) or Payable on Death (POD) clauses, and can be used on financial accounts (like bank or brokerage accounts) and on life insurance. Joint ownership can also be used on financial accounts, and with regard to real estate (although in Alaska, you can only have true joint ownership of real estate, with right of survivorship, if you are legally married). Neither beneficiary designations nor joint ownership are useful if your heirs are minors, seriously disabled to the point of being unable to manage their own affairs, or too irresponsible to handle the money. Just a few years ago the Alaska Legislature finally authorized Transfer on Death Deeds. You can now put a designated beneficiary on a piece of real estate in Alaska, avoiding probate in the process. Kenneth Kirk has done many of these deeds in the few years since the law was passed, and for quite a few people this is a very useful option. If you live in Alaska, attorney Kenneth Kirk will be glad to help you with your estate planning needs. He will start with a free consultation, to gather information and make a recommendation for you. If you are interested, please contact us so we can set up a time to meet. Living Trust: Because probate can be a time-consuming and expensive process, and because it can increase conflict within the family, many people choose to avoid it with a Revocable Living Trust. When you establish a Living Trust, you put your assets into the trust, and then you continue to use them however you like. When you die, or become incapacitated, the person you have named (your “successor trustee”) takes over managing the trust, following the instructions you have already put into place. You avoid going through probate entirely, because the assets are not held in your own name. More details are given here. IRA Conduit Trust: this is a special type of trust, which can be used only for IRA-type assets (Traditional IRA, 401(k), 403(b), SEP-IRA, Simple IRA, Alaska SBS, Thrift Savings Plans and similar accounts). It is useful for people who have a lot of money in that type of account, and at least one heir who is either a minor, too disabled to handle money, struggling with addiction issues, or too irresponsible to deal with that amount of money. It can also lower the income taxes which must be paid when someone inherits that type of retirement account. More details are given here. Gifting: This term means giving away your assets while you are alive, in order to avoid probate. For people who have more than $5 million in assets, it can be an important part of estate tax planning, and it is also sometimes used as part of Medicaid planning. For most people it is a dangerous strategy, for a number of reasons. If you are considering planned gifting, you should talk to an attorney first, to make sure this is really a good strategy for you. While planned gifting appears to be simple and efficient, it can actually cause major problems in many situations. Recently the Alaska Legislature provided a new statutory form to designate an agent to deal with disposition of your remains. This is very useful, because otherwise the funeral home may insist on having all of your “next of kin” sign off on whatever it is you want to do. The document is provided here. How do you decide which of these tools you should use in your own estate planning? By talking to an experienced estate planner. That way your estate planner can gather information about your situation, and about what you want to accomplish, and then can help you decide which of these tools should be used to get you there.